What's better than serene visual inspiration? That's what I call images and video from space. If you love such imagery, and find it a source of inspiration, then you need to check out "Outland - Space Journey 1.0, a new entertainment app developed exclusively for iOS and Apple TV. Outland - Space Journey offers a collection of videos of ISS footage and computer-generated views of planetary surfaces and deep space objects. 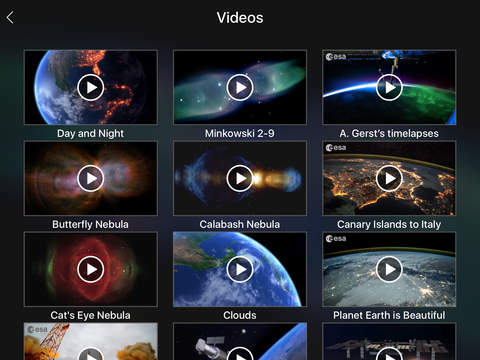 Played on a 4th generation Apple TV the app transforms the TV screen into a spaceship window. The lightning over the Earth aboard the ISS. Outland - Space Journey 1.0 is only $0.99 USD (or equivalent amount in other currencies) and available worldwide exclusively through the App Store as well as the Apple TV App Store in the Entertainment category. For more information, please contact Alena Kudasheva. Alexandria, Virginia - Based in Alexandria, Virginia, Vito Technology Inc. is headed by CEO Victor Toporkov and has developed an impressive portfolio of products for Windows Mobile since it entered the mobile software market in 2001. The company's latest endeavors include iOS and Web 2.0 software development. Vito Technology won an Apple Design Award in 2010 for its Star Walk for iPad app. The company consists of two departments: Research & Development Department and Marketing Department with 30 employees in total. Copyright (C) 2016 Vito Technology Inc. All Rights Reserved. Apple, the Apple logo, iPhone, iPod, and iPad are registered trademarks of Apple Inc. in the U.S. and/or other countries. footage and computer-generated views of planetary surfaces and deep space objects.